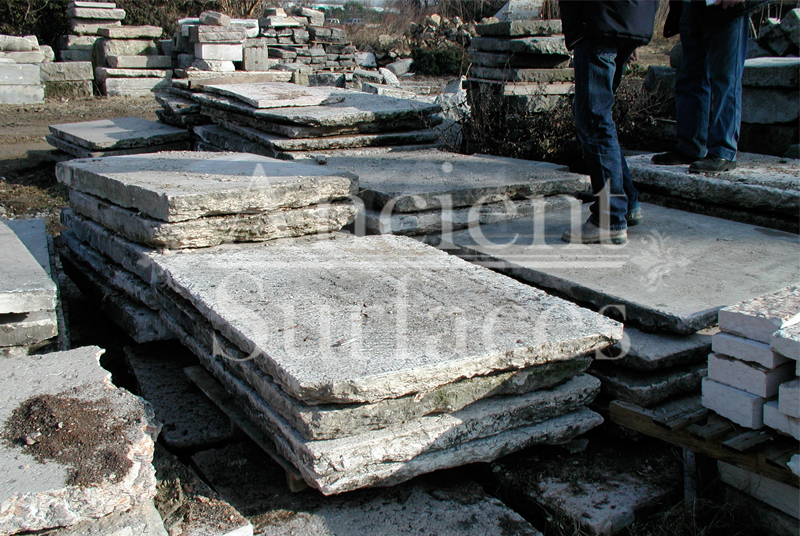 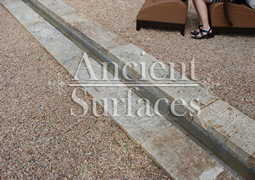 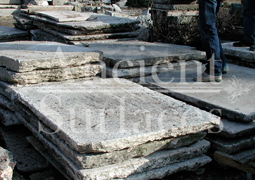 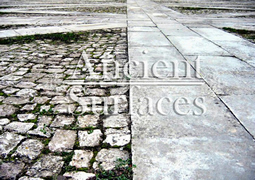 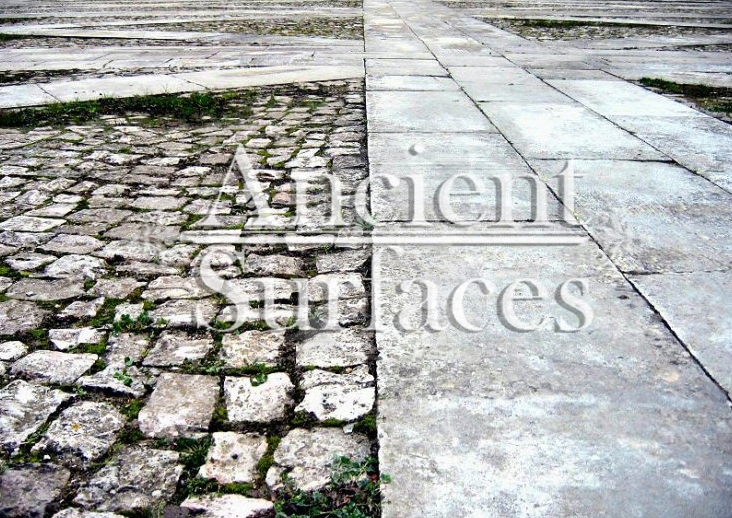 Those centuries old foundation Slabs were once the thick building blocks of old villas & farmhouses. 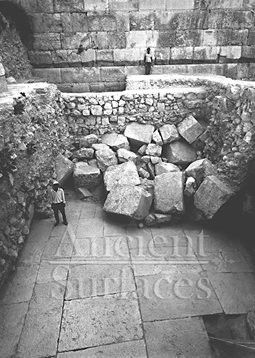 Those blocks could be found at the bottom support base of many older reclaimed structures. 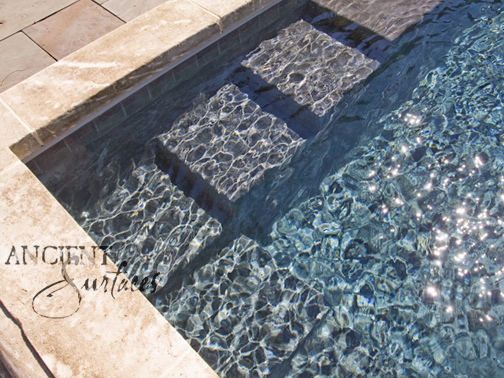 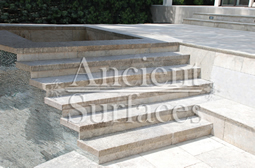 We are passionate about milling them down to 2.5" in thickness so they could be used on counters and pool copings. 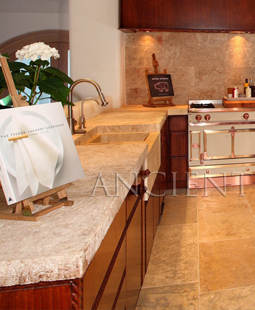 Yes counters! 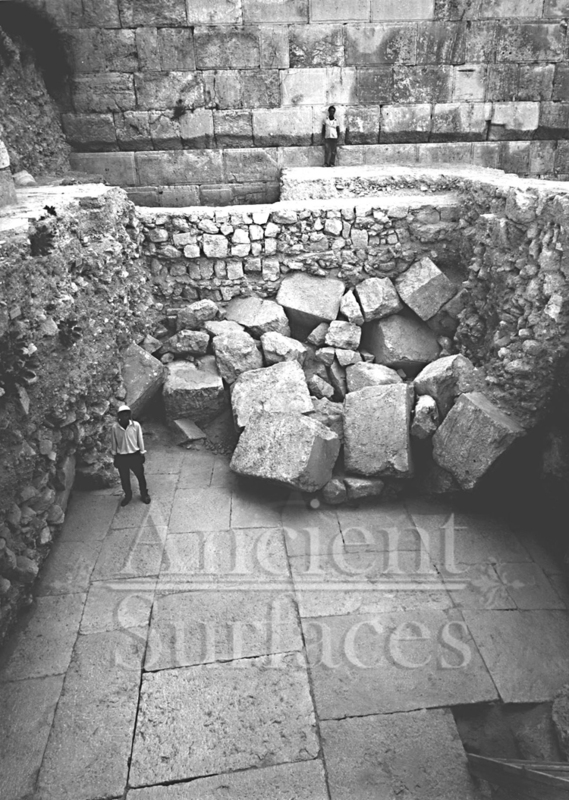 Those thick & massive chucks of Limestone absorb virtually nothing and can stand up to anything you can throw at them. 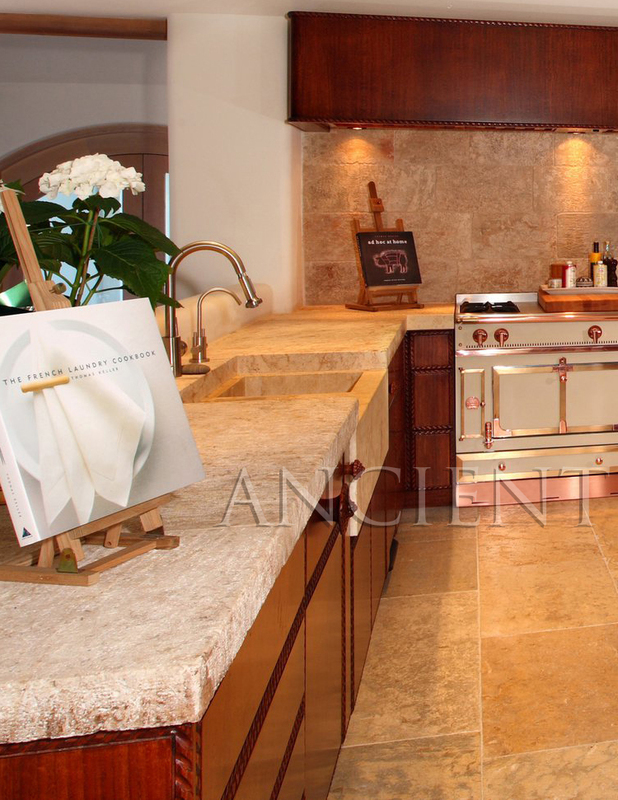 Seemingly indestructible, they are ideal for anyone who is a great cook and who doesn’t want to worry about leaving wine rings, lime juice or oil stains on their counters while cooking or entertaining guests. 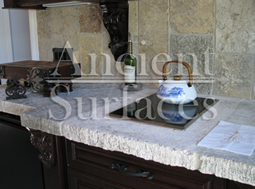 If you practically live in your kitchen which is true for many of us, you have no choice but to consider incorporating the foundation slabs as your kitchen countertops. 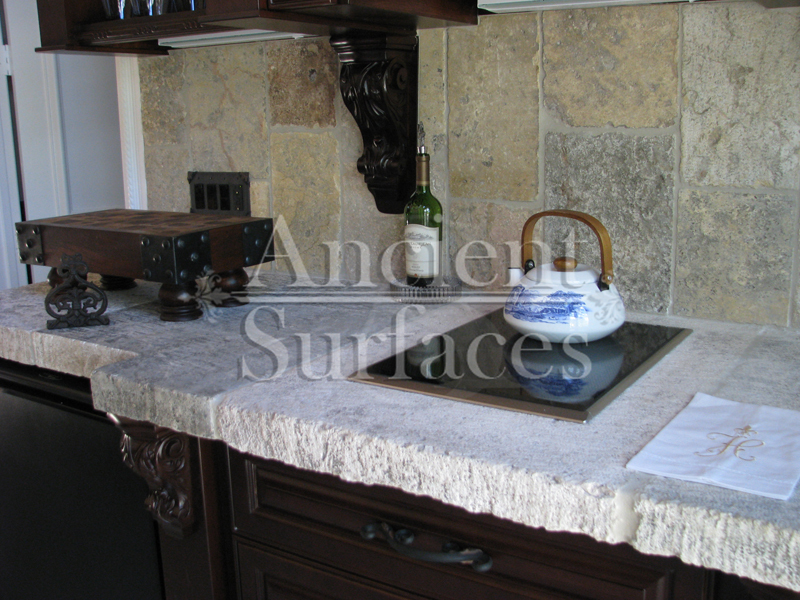 Make your kitchen fun and enjoy the best countertops available on earth by securing some of those slab cuts today. 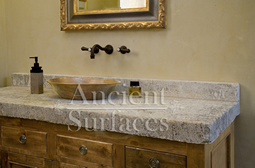 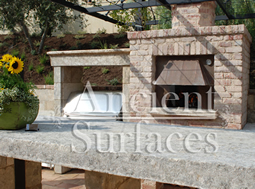 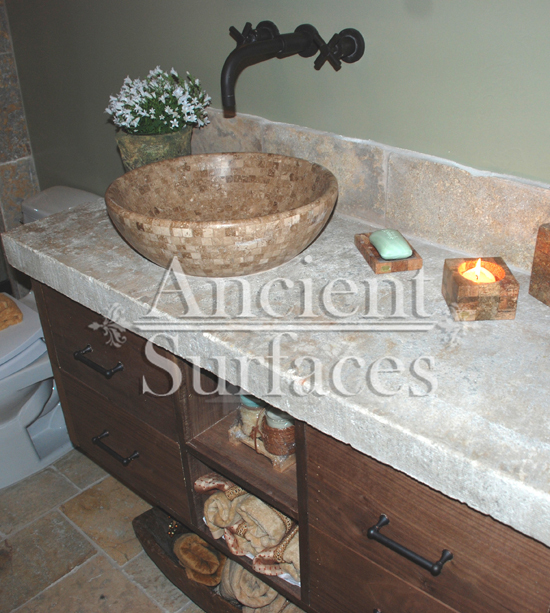 Our Limestone is composed of quartz, chert, iron minerals and hematite. It was formed in warm supersaturated yet turbulent marine intertidal environments off the shores of Malta during the Jurassic period. The mechanism of formation starts off with a small fragment of sediment acting as a 'seed' Strong intertidal currents wash the 'seeds' around on the seabed, where the granules (Ooli as they are known in Greek) accumulate as layers of chemically precipitated calcite from the supersaturated salt water. 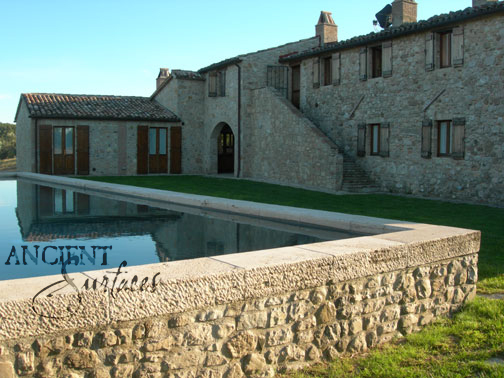 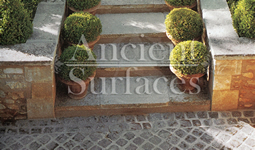 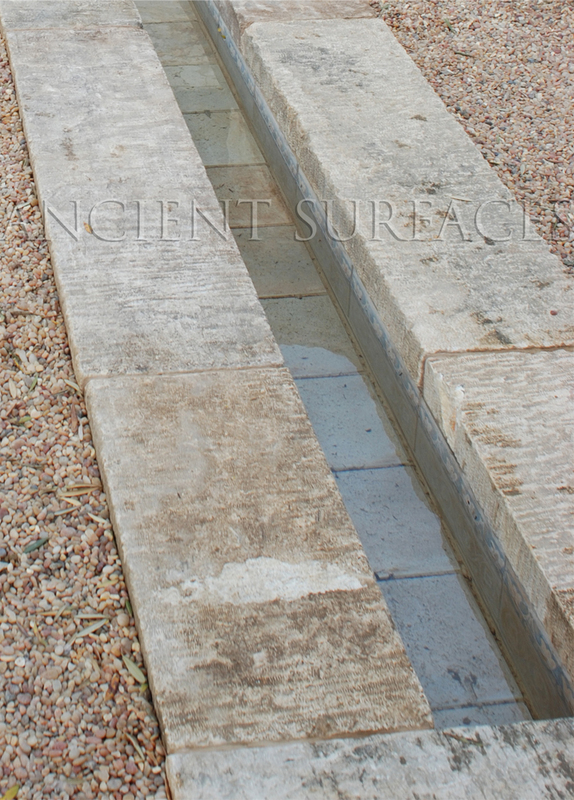 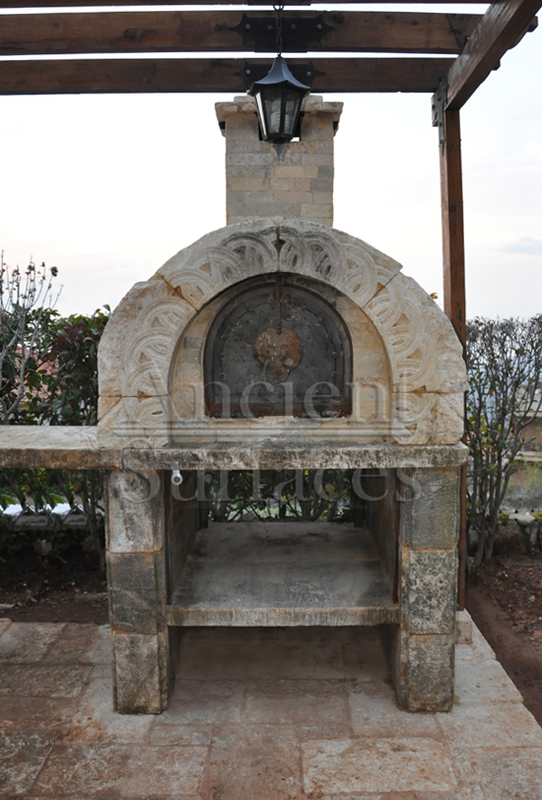 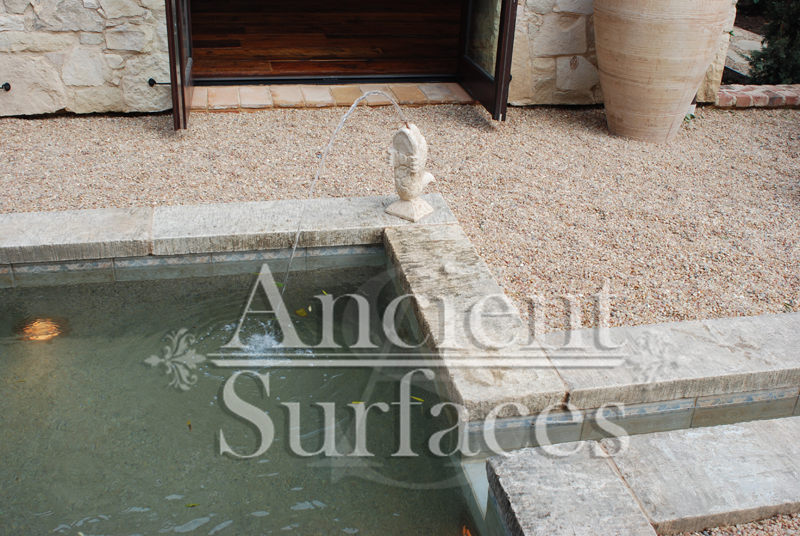 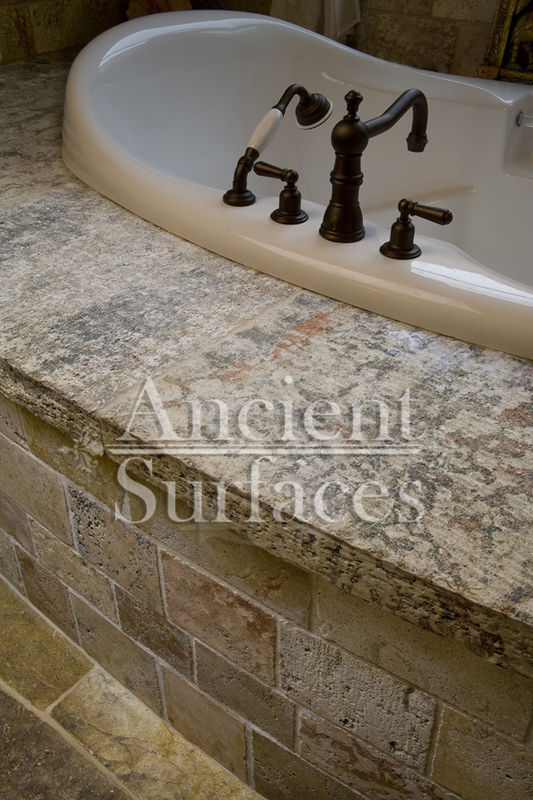 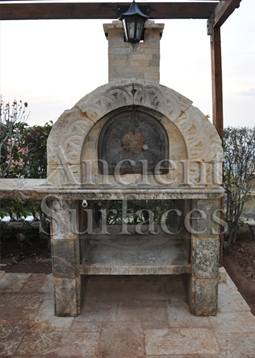 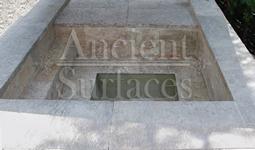 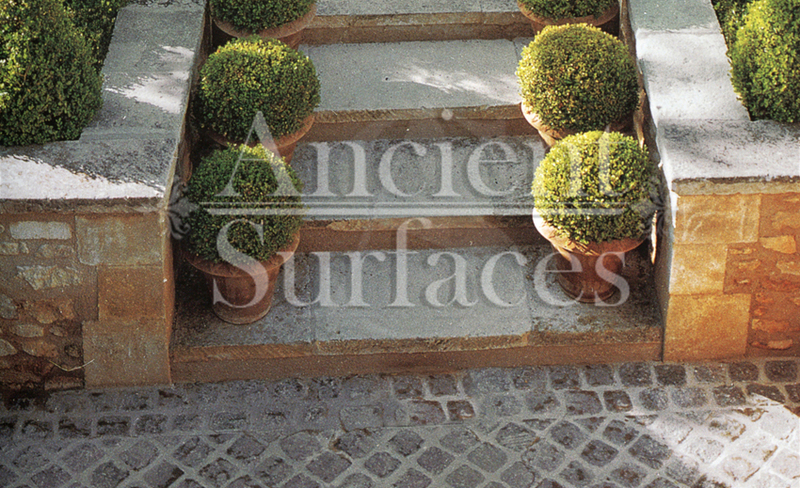 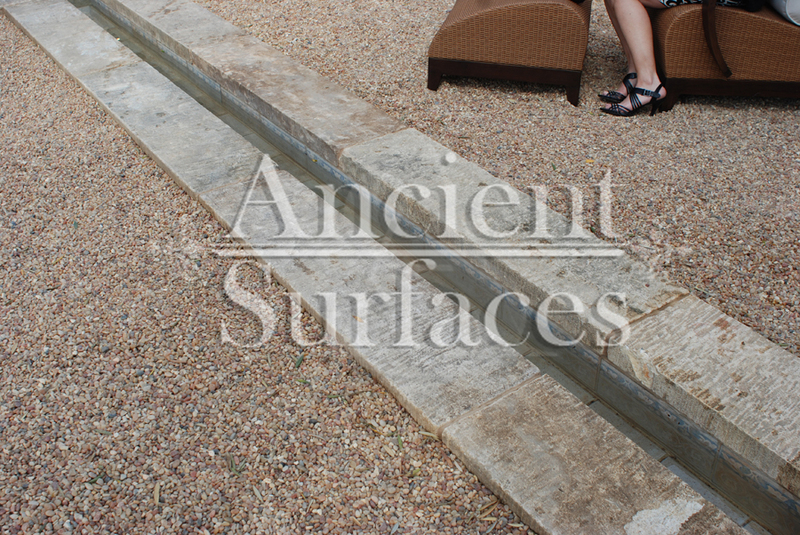 You can barely scratch this limestone with a sharp metallic object such as a nail and will see no signs on efflorescence when covered or even submerged with lime juice or vinegar.